Seymour Hersh Final Nail in the Killing Bin Laden Hoax? Or limited hangout? According to Hersh, Obama, Clinton et al… LIED about the Bin Laden Killing in 2011. He contends that Bin Laden was killed in what amounted to a fake raid. EG: Shooting fish in a barrel. This is certainly damning. Thus, the mass media is calling him a crank and a conspiracy theorist. So Was it REALLY Osama Bin Laden? Hersh writes: “Obama was anxious for reassurance that the US was going to get the right man. The proof was to come in the form of bin Laden’s DNA” – Hersh doesn’t seem to answer this question, other than to say that on of the conspirators shared the 25 Million reward by verifying the DNA. If this was true… WHY didn’t the White House et al use that proof to quell the distrust building after they threw the ALLEGED corpse in the Arabian Sea? So was it OBL? a double, or a nobody? The mass deaths of SEALS in the know post raid suggests that they saw something bigger than a negotiated assassination. Our guess, until its proven otherwise, they saw a very bad imitation Bin Laden. Maybe it doesn’t matter, as we have moved on to newer and badder boogeymen with “ISIS”…. But in our book… THE TRUTH WILL SET US FREE. The recent shooting in Garland Texas could now justify the unprecedented military Drill this summer titled “Jade Helm 15″. It also justifies the phony War on Terror, increased Budgets for DHS, FBI, NSA etc…. And will be used to usurp the guaranteed Constitutional freedoms of all Americans. It has MUCH in common with the Paris and Boston Attacks, in that it was a p2OG, Gladio style attack where the FBI knew the alleged ‘Terrorists”. The fact that “ISIS” has claimed responsibility is just further proof that ISIS is (Like Al Qaeda) is being run by Global Intelligence. Below you can read the Information even the MSM is reporting + a historical overview of Gladio style ops. Spread it far and wide. Texas police were warned about ISIS attack TWO DAYS days before deadly shootout by Anonymous activist | 05 May 2015 | An activist linked to the international hackers’ collective Anonymous tipped off police in Garland, Texas, about an imminent attack on an anti-Islam event two days before it happened – but the red flag went unnoticed. Police and the FBI say Elton Simpson, 30, and his roommate, 34-year-old Nadir Soofi, from Phoenix, Arizona, opened fire Sunday evening on an unarmed security guard outside a contest featuring cartoons of the Prophet Muhammad. The Daily Dot reported Monday that the Garland Police Department had received advance warning of the attack two days earlier, courtesy of a woman living outside the US who has identified herself as an affiliate of the Anonymous network. 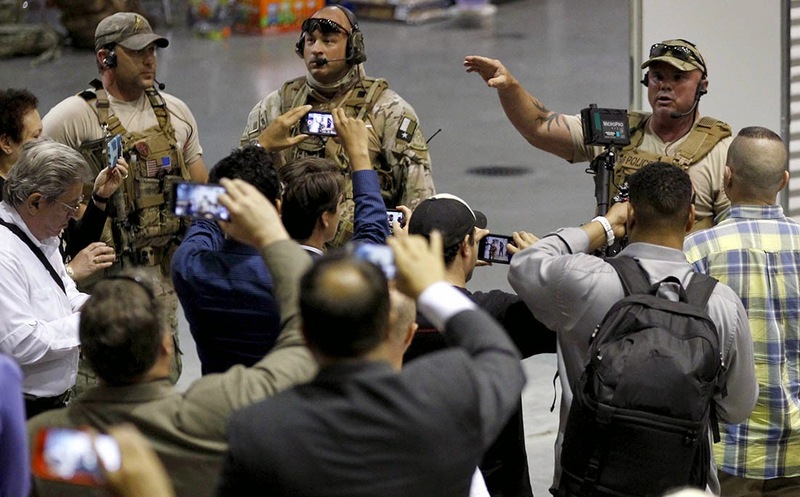 Gunman in Mohammad cartoon attack in Texas was monitored for years by federal agents | 04 May 2015 | Federal agents for years monitored one of the two gunmen who were shot dead after opening fire with assault rifles at a heavily guarded Texas exhibit of caricatures of the Prophet Mohammad. Two government sources who asked not to be named said the shooters were roommates Elton Simpson and Nadir Soofi, of Phoenix. Court documents show that Simpson had been under surveillance since 2006 and was convicted in 2011 of lying to FBI agents over his desire to join violent jihad in Somalia. A *blatant* false flag in Garland, Texas: Accused Texas Gunman Well-Known to FBI Before Attack [And SWAT was already there, waiting.] 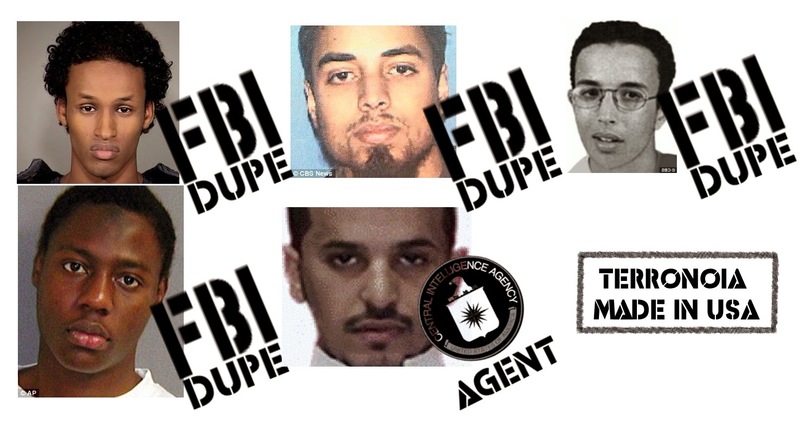 | 04 May 2015 | Since at least 2007, the FBI has been able to recognize the voice of Elton Simpson — one of the men suspected in the Texas shootings outside a contest featuring [racist] cartoons of the Muslim Prophet Muhammad. Agents recorded the young man from Phoenix talking about fighting nonbelievers for Allah…Simpson was arrested in 2010, one day before authorities say he planned to leave for South Africa. But despite more than 1,500 hours of recorded conversations, the government prosecuted him on only one minor charge — lying to a federal agent. Years spent investigating Simpson for terrorism ties resulted in three years of probation and 600 in fines and court fees. Garland shooting involved troupe of practiced war propagandists and patsies long on the FBI’s watch list. May 4, 2015 (Tony Cartalucci – LD) – ABC News confirms that one of the suspects of the Garland Texas shooting incident, featuring professional war propagandists of the so-called “American Freedom Defense Intitiative” (AFDI), has been under FBI surveillance and investigation since at least as early as 2007. Despite the event allegedly increasing chatter amongst “Islamic State” (ISIS) groups online, and despite the suspect Elton Simpson being long under FBI surveillance and even sentence to 3 years of probation resulting from a terror-related investigation, he was still able to conveniently conspire and carry out an attack on a highly provocative propaganda stunt in the state of Texas. As with all other staged provocations, including similar shootings in Paris, France, Copenhagen, Denmark, and Sydney, Australia, the suspects were well known to state security agencies for years, but allowed to conspire and carry out predictable, deadly, and politically highly convenient attacks. All of this echos the similar and long-since exposed staged provocations of the notorious “Operation Gladio,” carried out by NATO.In Paris, France, the suspects in the so-called “Charlie Hebo Shooting” were under the watch of security forces for years, were in and out of jail specifically for terrorism, were known to have left France to join terrorists fighting with Western-backing in Syria and return, only to be left “unwatched” for precisely the 6 months they would need to plan, assemble the weapons for, and prepare to execute the attack. Once again, suspects under surveillance and even arrested and imprisoned as violent offenders or as terrorists, managed to conveniently “slip free” of security agencies just in time to carry out attacks that just so happen to help the West continue its extraterritorial wars raging abroad, and continue building an abhorrent police state back at home. Finally, in Australia, a suspect who held up a cafe in a deadly hostage crisis, was literally brought to Australia from Iran for the purpose of waging a propaganda war on Iran. When this failed to materialize, the “shape-shifting sheik” would morph to fit the villain necessary to match whatever narrative was currently being floated around the Western media. His final performance would help bolster the illusion that ISIS is an enemy of the West, rather than a creation and perpetuation of it, and to this day serving as the West’s extraterritorial mercenary forces in nations like Syria and Iraq. NATO’s Operation Gladio, and its larger “stay behind” networks established after World War II across Europe and at the center of multiple grisly assassinations, mass shootings, and terrorist bombings designed to demonize the Soviet Union as well as criminalize and crush support for left-leaning political parties growing in popularity in Western Europe. It would be determined that NATO’s own covert militant groups were killing innocent Western Europeans in order to effect a “strategy of tension” used to instill fear, obedience, and control over Western populations. A similar campaign of staged terror has been and is still being carried out not only across Europe but also now in the Americas – including in Canada. The purpose of this campaign is to divide society socially and politically, while helping to radicalize young people to join the ranks of US-British-Saudi armed and funded mercenary groups abroad in nations like Syria, Iraq, Yemen, Egypt, and Libya, and then return to commit staged provocations to inspire fear, hatred, and obedience at home. The supposed trigger for this provocation was a “draw Mohammad” contest organized by the American Freedom Defense Intitiative (AFDI), a performing Neo-Conservative propaganda troupe consisting of the Bush-era US Ambassador to the UN John Bolton, full-time propagandist Pamela Gellar and Robert Spencer, and Dutch politician Geert Wilders. Their debut performance was in 2010, where they came out to protest the so-called “Ground Zero Mosque” supposedly to be built near the ruins of the destroyed World Trade Center in New York City. The mosque was never actually built, not because of the public backlash, but because the entire controversy was manufactured. The “imam” allegedly behind the mosque, was in fact a member of the Council of Foreign Relations, funded and backed by the very same corporate-funded think tanks that set out to protest against the planned “mosque.” In other words, the entire scandal was manufactured on both sides by the same special interests for the purpose of manipulating the public. Since then, with little success, AFDI and its various affiliates in North America and Europe have attempted to stoke hatred not toward “radical Islam,” terrorists, or the US-backed regimes arming and funding them, but against all Muslims. Dutch politician Geert Wilders, for his part, while claiming to be defending “free speech” in Texas, has been busy trying to infringe on the rights of Muslims back in his home country. Wilders and the rest of AFDI are not exercising free speech, but are in fact attempting to inspire fear, suspicion, hatred, and tangible violence against not just “terrorists,” but all 1 billion plus practitioners of the Islamic faith, many of whom are fighting and dying this very moment battling real terrorists, ironically armed, funded, and fully backed by the very Neo-Cons that have assembled AFDI. Not only does AFDI hold freedom of speech in contempt and actively set out to destroy it for others, they are now hiding behind it to further strip the rights, peace, and stability away from people both in the West and abroad. The so-called “War on Terror” that AFDI’s rhetoric actively supports has served as the impetus to do everything from expanding warrantless surveillance and an ever expanding police state at home, to help garner support for wars of geopolitical conquest abroad. With these facts in mind, it is clear that “free speech” is a canard used by both the “left” and “right” to distract from the real purpose of the Garland shooting, and other acts of provocation like it. It distracts from the fact that all of the perpetrators have been well-known to security agencies for years, even sentenced and/or imprisoned by various courts, as well as investigated and kept under surveillance. It distracts from the fact that the event at the center of the attacks was organized and carried out by those who themselves have actively sought to curtail the freedoms of others, not to mention foster wars that have ended or otherwise destroyed the lives of millions. It distracts from the fact that the very Neo-Cons telling the world to fear “Islam” represent the same special interests arming and funding literal Al Qaeda and ISIS terrorists across North Africa, the Middle East, and even Central and East Asia. Neither the AFDI nor the patsies involved in the shooting deserve the public’s sympathy or defense. Rather, they both demand the scrutiny and vigilance required to break the rhetorical back of this conspiracy, and strip away the support it receives from both sides of a mass-manipulated public.